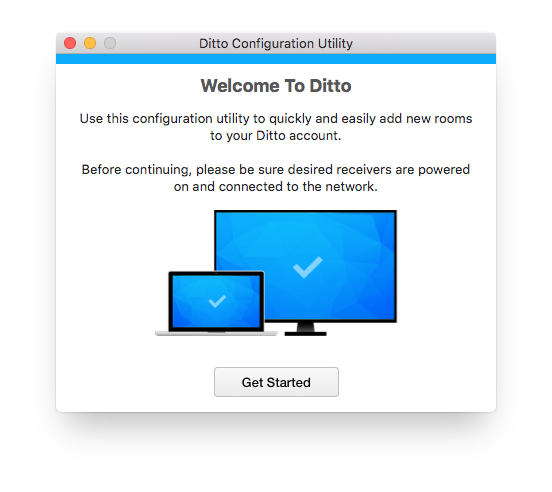 Before you and others at your organization can enjoy our easy-to-use screen-sharing service, Ditto, you will need to add your conference room display to a Ditto account. Don’t worry! We made the process easy. You’ll be up and running in minutes. 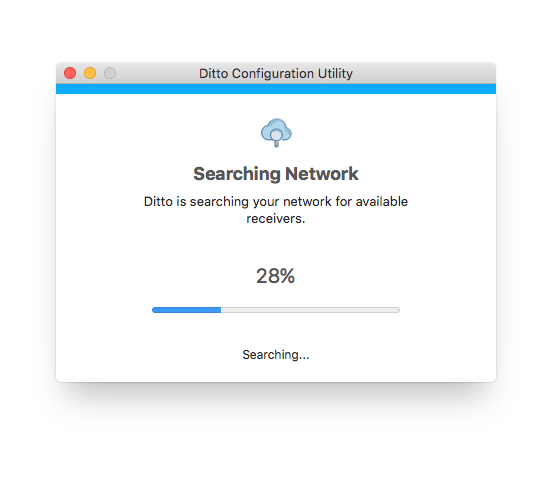 The Ditto Configuration Utility works on Mac and Windows. 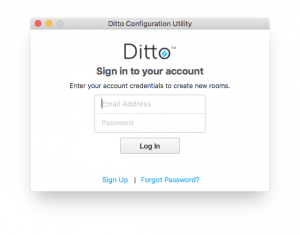 It’s designed to allow quick and effortless addition of rooms to a Ditto account. 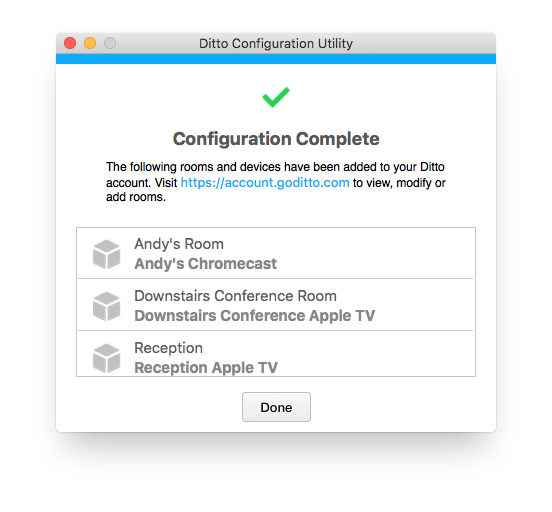 Once you add the rooms, anyone can share their Mac or PC screen to a room's Apple TV, Chromecast or Reflector-connected TV or display. 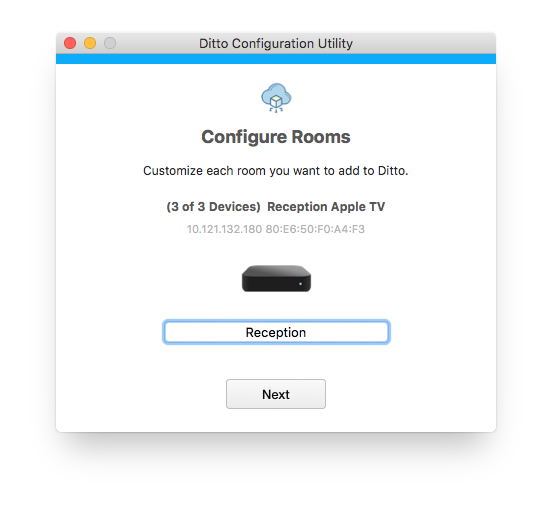 Before we begin, make sure your receivers (Apple TV, Chromecast or Reflector) are powered on and your computer is on the same network as the devices. To obtain the Ditto setup tool, log in to the Ditto administration portal. 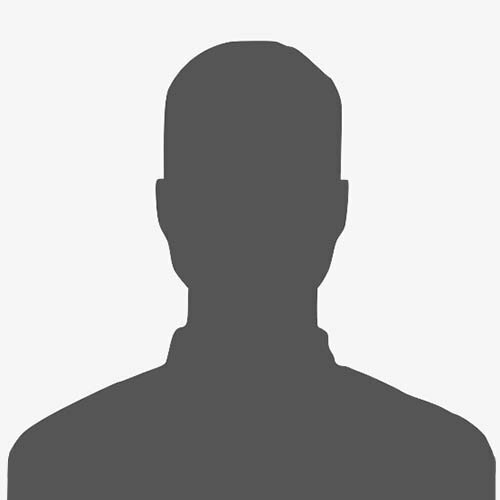 You’ll find a link to the tool under Step 2 of the Getting Started section. 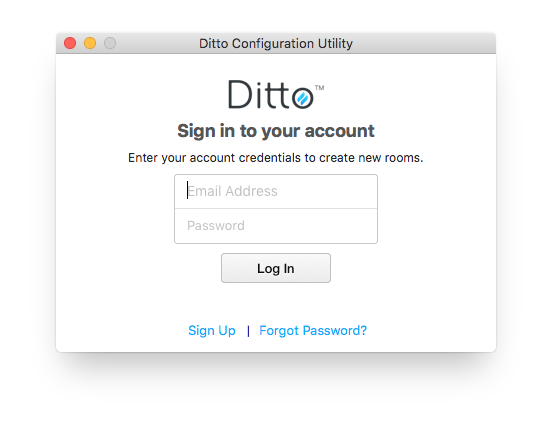 To use the configuration tool and add rooms to your Ditto account, you’ll need to log in. Welcome! Click “Get Started” to scan your network for available receivers. 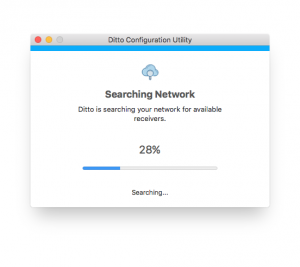 The tool will automatically search your network for available devices. 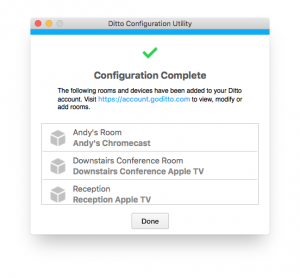 Be sure you’ve powered the devices on and that you’re on the same network. After a few seconds, you’ll see available devices. 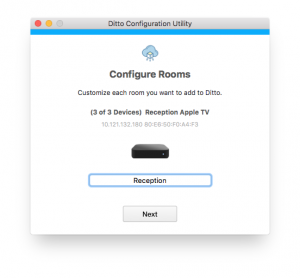 Choose the devices you would like to add to Ditto. 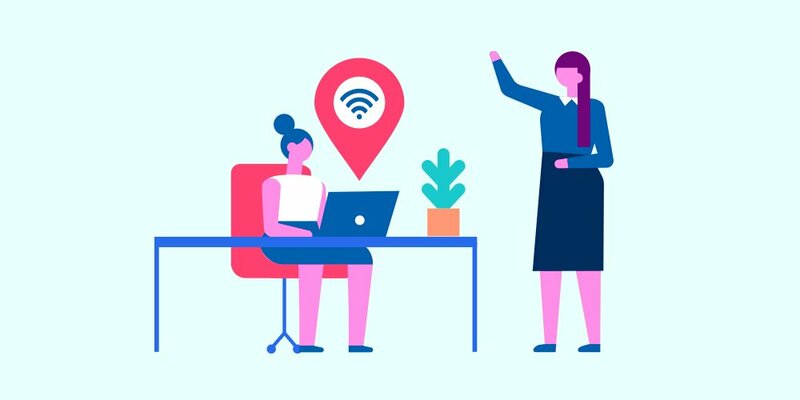 If your devices don’t appear here, they may not be powered on, or you may not be on the same network. 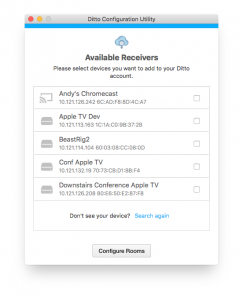 To add devices that don’t appear, visit your account portal. This tool already knows the network information required to connect your devices. All you need to do is enter an identifying room name. That’s it! 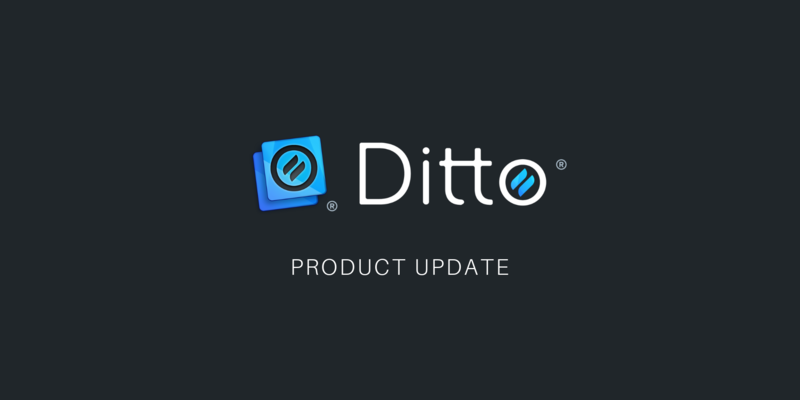 Adding new devices to Ditto is that simple. Don’t want to use our super simple setup tool? 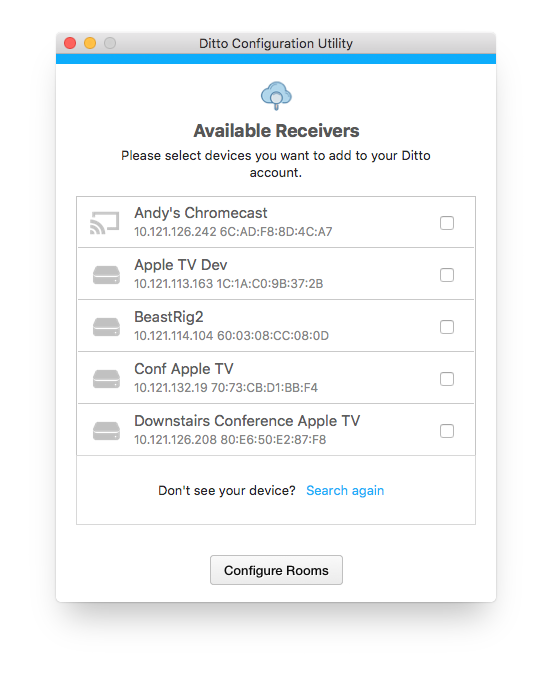 You can also add devices via the Ditto account portal. Need help? Contact us via help.airsquirrels.com!